New storage systems : VRFB Storage - ALI6 S.r.l. 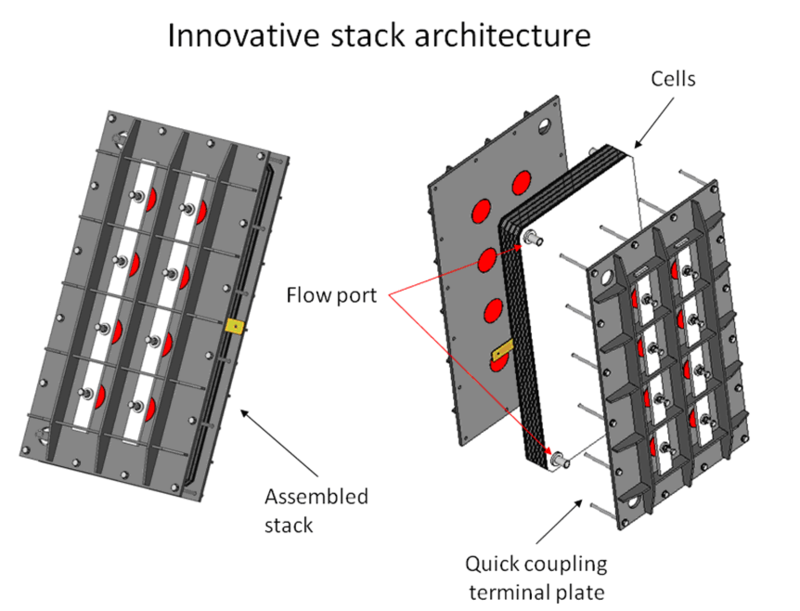 The Vanadium Redox Flow Battery (VRB-Vanadium Redox Flow Batteries) is essentially constituted by a set of power cells, detectable in a series of bipolar plates, each traversed by two electrolyte streams separated by a proton exchange membrane. The two half-cells are hydraulically connected to two tanks pleased the electrolyte, sized for such a volume as to generate the amount of energy required. 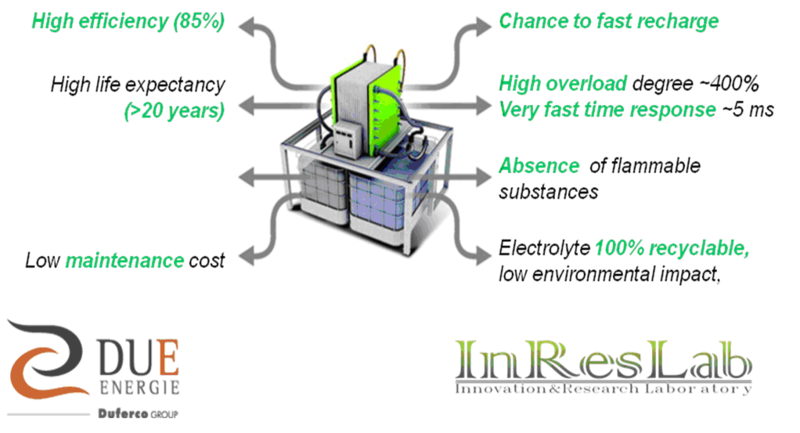 The VRFB technology is thus characterized by an excellent electrochemical activity and a negligible cross-contamination between positive and negative electrolyte, energy-efficiency and extreme reversibility which makes it suitable for a wide range of applications. Ali6 promotes the development and use of new VRFB patented technologies.